New Heating System Beltsville: When Should You Replace Your Furnace or Boiler? 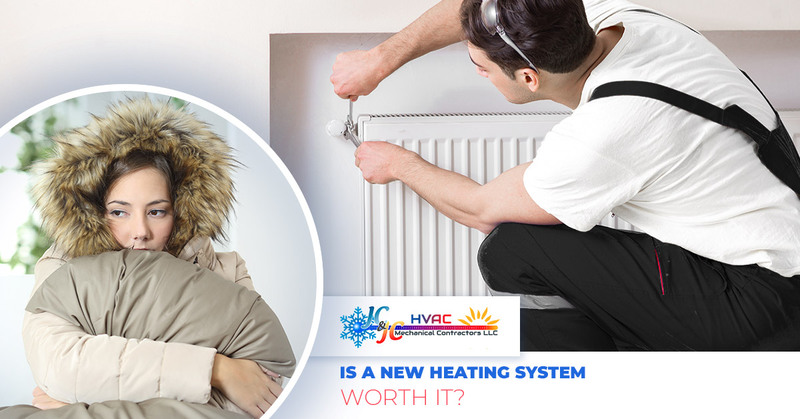 Is A New Heating System Worth It? When you take a look at the title of this blog, it’s probably important to note the timing we’re talking about. If you call an HVAC technician for furnace repair and they say “your heat exchanger is cracked, you need a new unit,” then the answer is most certainly yes, a new heating system is definitely worth it. But there are times when you have a choice in the matter. For instance, your furnace might be 25 years old and is nearing the end of its life. Maybe it’s breaking down at least once a year as the parts start to wear out. And to be honest, you’re getting tired of having to take off work to meet the heating repair technician at home. But you’re also reluctant to replace the old unit before it’s completely shot. After all, it’s still working…why get rid of it? It’s a tough decision, not only because there’s a lot of money involved, but it will also involve a fair amount of research and planning on your part to make sure you’re getting the best unit for your house. Here are some thoughts on why you might consider getting a new heating system instead of dealing with constant furnace repair. 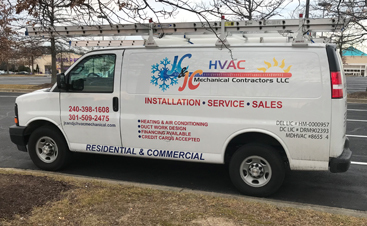 Just know that you’re not alone, and JC & JC HVAC Mechanical Contractors can help you choose the right furnace and work as your furnace installers too. Perhaps the primary reason to get a new furnace system is it can start paying for itself right away. Nearly every type of heating unit has gotten considerably more efficient during the past two decades, due to both consumer demand and government intervention. 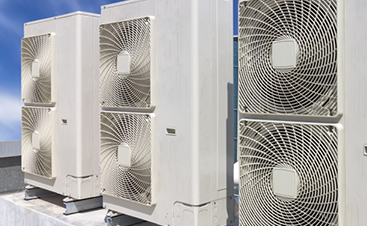 People are simply interested in wasting as little energy as possible, and competition between HVAC providers has further made the units more energy efficient. That’s not only good for the environment but for people’s wallets as well. If your current system isn’t terribly efficient, there are two primary reasons for it. As we just discussed, part of it is the era in which it was built. But another reason is that it simply gets less efficient as parts wear out. Once you get a new heating unit installed, you’re going to notice immediate energy savings (not to mention better reliability, see below). Will it pay for the unit in just a few months? No, but it certainly beats constantly repairing the old unit while also paying for repairs. It will certainly be nice to see lower energy bills. Think about those mornings you’ve woken up to find out that your heating system has gone out. It doesn’t matter whether you have a furnace, boiler, geothermal, or “other”…it’s just a major frustration to realize that your day isn’t going to go anything like you planned it. First you have to head downstairs to fiddle with the thermostat, hoping that someone bumped the buttons last night or accidentally switched it off. After you’ve done everything you can think of to no avail, you have to give a heating repair company a call, and maybe even pay emergency rates. Then you’ve got to call in to work and let them know that you’ll probably be late, or might not be coming in at all. After all, your furnace gave out again and you’ve got to wait for someone to come fix it before the pipes freeze. After all of that, you’ve got yet another repair bill. Hopefully it’s under $200 this time, unlike last year when you needed a new computer board put into your furnace. Now imagine that you can make those problems occur much less frequently. That’s what happens when you get a new heating system. Aside from your scheduled yearly maintenance, there’s very little chance that you’ll wake up to these problems for years to come. But wait, there’s more! When would you rather have your heating unit replaced: on a comfortable fall day, or in the middle of the coldest winter night? When you decide to get a new furnace or boiler instead of having the decision made for you, you can have the installation performed when it’s nice out. You can also ask for the day off work weeks in advance instead of mere days in advance. If you’ve never purchased a new furnace, you might have some wrong data moving about in your head about how much they cost. While it’s true that they are the largest and most expensive appliance in your house, the cost is not as bad as many people think. We’ve given quotes to many people who honestly thought that the price would be double what we gave them. We even encountered one person who thought that a new basic furnace and installation would cost them $20,000. Not hardly! In general, a new gas furnace is going to cost between $2,500 and $3,500, and that includes basic installation. Yes, it’s expensive. But considering what it does for you and your home, it’s really not so bad, especially when we can help you with financing. Can that price go up? Of course. If you’re replacing an oil furnace or a geothermal unit, it will probably cost more. Also, if you get the most efficient type of furnace available, it will end up costing you more. Finally, houses with strange floor plans — such as those in which the incredibly large furnace was put in and the house was built around it — will require additional labor costs. Let’s Get Your New Heating System In! No one wants to spend all of that money on a new furnace, but it can actually turn out to be a positive experience in your life. Considering that we also offer furnace specials on new units in addition to our financing, you’ll find that we truly want to help you get the best furnace for your home at the best price. 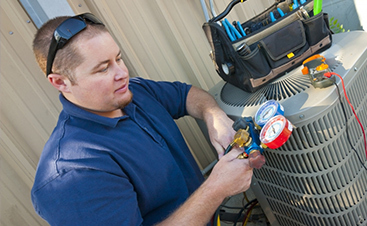 Contact JC & JC HVAC Mechanical Contractors today to get a quote on your next furnace!